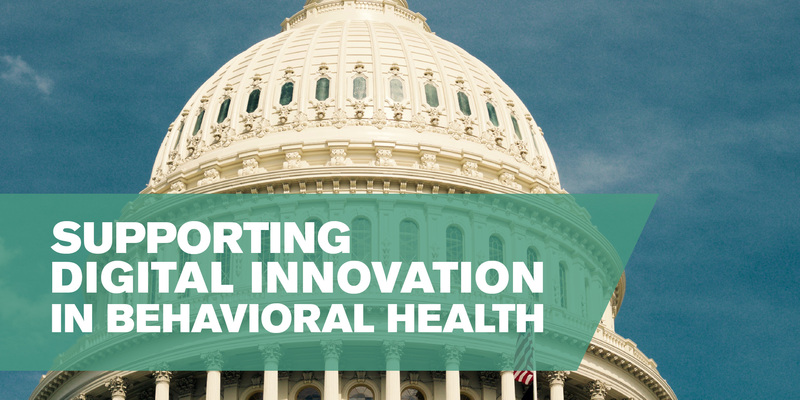 Mental Health America (MHA) has partnered with the Digital Therapeutics Alliance (DTA) for a Policy Institute to explore what the emergence of digital therapeutics means for mental health and substance use policy. While we will not attribute anything said in the Policy Institute to any of the attendees, we will use the discussion to inform a policy brief that will help guide the field as it navigates technology, policy, and behavioral health. Technology has been disrupting everything from how we travel to how we buy groceries, but mental health and substance use treatment has largely remained the same. In some cases this may be for the best - disruption without evidence might not help people, and it may even hurt them. In the past few years, however, several technologies have undergone rigorous evaluations and demonstrated effectiveness in treating mental health and substance use conditions, and more and more are even receiving approval by the FDA. While there are many different kinds of digital health innovations, technologies that undergo these kind of rigorous reviews are referred to as "digital therapeutics." To date digital therapeutics have received little policy consideration, as most digital health policy tackled critical issues in telehealth and health IT. For those who advocate for advancing behavioral health care and lowering consumer costs, what do digital therapeutics mean for policy? In a payment system designed for providers, drugs, and devices, how do digital therapeutics fit in and how can policy help build a supportive clinical context for delivering effective digital therapeutics to those who would most benefit? Innovations and Directions in Digital Therapeutics. What are digital therapeutics, what makes them different from other digital health innovations, and what opportunities do they offer to improve mental health and substance use outcomes while reducing consumer costs? We will hear from industry leaders on where they see the field heading, and what it could mean for behavioral health. Lunch Discussion on Theories of Coverage for Digital Therapeutics. Looking at health care as a whole, what are our options for how digital therapeutics could fit into payment and delivery, and how should we weigh these options as we advocate for policy change? We will hear from a leading health services researcher on the pros-and-cons of different policy approaches for integrating digital therapeutics into the fabric of care. Provider Perspectives on the Clinical Context for Digital Therapeutics. How would providers react to digital therapeutics, and what do they need to effectively use them as part of their care? We will get diverse provider perspectives on what kind of policy changes might better support the health care delivery system to engage with these new technologies. Payer Perspectives on the Policy Context for Digital Therapeutics. How do health insurers see digital therapeutics in the flurry of digital innovations, and what kind of policy reforms might help them navigate how and when they want to deploy these technologies? We will get reflections from different insurers and where they see policy challenges and opportunities ahead. Charles Gross, PhD, Vice President, Behavioral Health, Anthem Inc. Facilitated Discussion, Next Steps for Policy. Based on what we heard, what can policy-makers and advocates advance on the Hill, with the Administration, or in the states that might help get effective innovations to consumers, and ultimately improve mental health and substance use outcomes while reducing total costs? We will have a group discussion that will help build the foundation for the policy brief.